Wouldn’t it be amazing if you could secure your internet without having to pay hundreds of dollars for a privacy service? 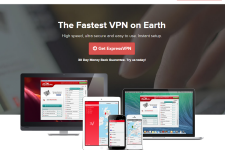 Thanks to the availability of online coupons and money saving deals, it is now easier than ever to subscribe to a premium VPN solution without having pay its full subscription price. This article will focus on the current money saving deals available for inCloak VPN and show how you can benefit from them. As a new subscriber, you can sign up for inCloak’s monthly plan by paying $8 every month. However, the monthly plan doesn’t include the bonus Private IP option that is available for term subscribers plus it turns out to be more expensive in the long run. If you are really interested in saving money on your inCloak subscription, we suggest that you consider subscribing to the long term plans where some significant deals are available. 1) Save $57 On Yearly Plan – That’s a saving of almost 60% when compared with the 12 month subscription price of the recurring monthly plan. inCloak is currently offering its yearly plan for just $39 instead of the usual $96 so this is your golden opportunity to secure your privacy and even save a lot of money while doing so. Thanks to the massive discount, the average cost per month dips to $3.25 which is pretty awesome for a VPN service of such caliber. 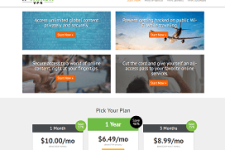 2) Save $26 On Half-yearly Plan – Even if you don’t want to subscribe to inCloak’s annual plan, you can still get 54% off by subscribing to the provider’s semi-annual plan. The 6-month plan is now available for $22 which is substantially lower than the usual subscription cost of $48. Here also, the average price remains below $4/month (at $3.73/month) so you are getting access to all the premium features of inCloak at a hugely discounted price. Since inCloak doesn’t ask for promotional codes, you don’t need a special coupon to make the most out of the above deals. Simply head to inCloak’s official site by clicking on links available here and you will be presented with the already discounted prices. Why You Should Consider Using inCloak VPN Service? inCloak (also available from hideme.ru) is a well-established service provider that offers proxy and VPN services to customers. Launched in 2006, the service is operated by inCloak Network Ltd. which is headquartered in Belize. Since the service supports all major protocols and delivers up to 2048 bit encrypted security, you can rest assured that your web sessions as well as the data flowing through your computer, Smartphone or tablet cannot be intercepted, hacked or blocked in any way. inCloak currently has 69 servers in 34 different countries. The availability of IP addresses from multiple countries of America, Europe and Asia boosts the available browsing speeds as well as unlocks hundreds of GEO-IP restricted On-Demand services. With no bandwidth restrictions and availability of gateways connected to 1 GBPS nodes, inCloak customers can browse and stream media rich High Definition content without facing any delays or bottlenecks. If you need a more detailed review of inCloak VPN service, read the article posted at: . For visiting the official website of the provider, click here: www.incloak.com.